The second form of the conditional perfect suffers from something of an identity crisis: it looks like the pluperfect subjunctive but has the value of the conditional perfect. It’s used mostly in si clauses and is a literary tense, so is found only in very formal written French. The second form of the conditional perfect is equivalent to the conditional perfect in spoken French, shown here (in parentheses). Si vous m’aviez menti, j’eusse su. (Si vous m’aviez menti, j’aurais su.) If you’d lied to me, I would have known. J’eusse aimé vivre à Tahiti. (J’aurais aimé vivre à Tahiti.) 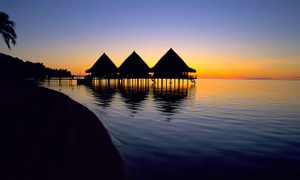 I would have liked to live in Tahiti. 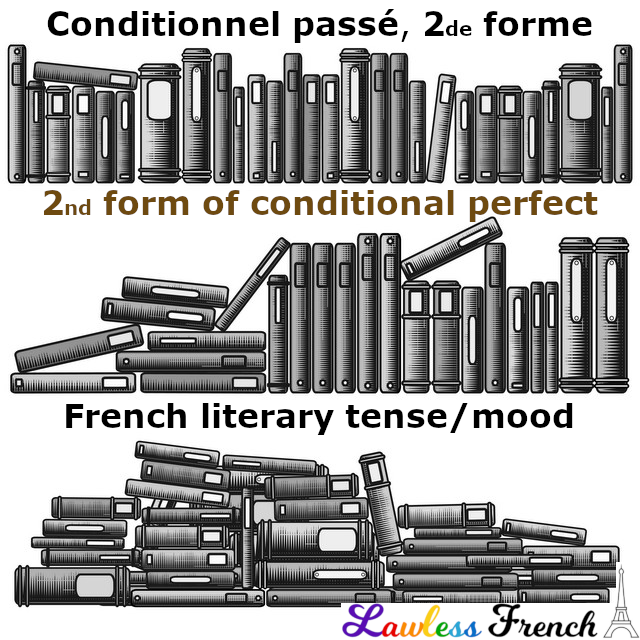 Because it’s literary, you don’t need to be able to conjugate the second form of the conditional perfect, but you should learn to recognize it, especially if you read classic French literature and poetry. The second form of the conditional perfect is identical to the pluperfect subjunctive. As in all compound conjugations, the past participle in the second form of the conditional perfect may need to agree in gender and number with the word it modifies – learn more.